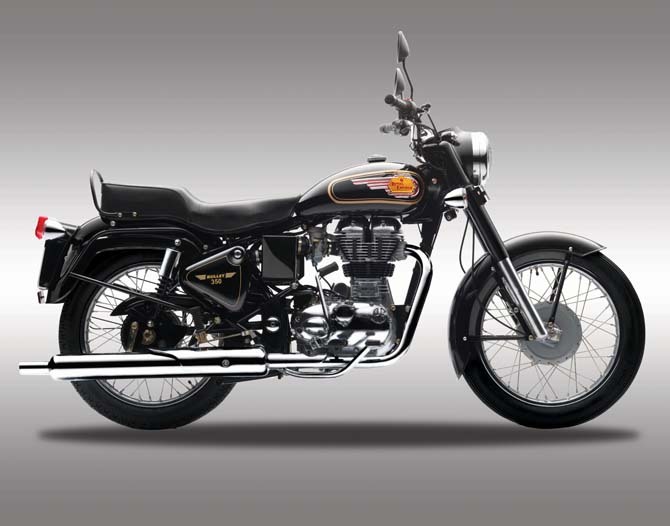 The 350 cc Thunderbird Twinspark was the first model from Royal Enfield to get the Twinspark UCE engine. The Classic 500 and 350 were the next two models to get the Twinspark UCE treatment and launched in India in November 2009. I am sure that the original Bullet models (with cast iron engine) will now become prized collectors items..!! Also at the start of 2010, Royal Enfield had made public that the Twin Spark UCE engine would replace the original cast iron engines from the "Bullet Electra 350" and "Bullet Standard 350" models. True to its word, Royal Enfield has launched the Bullet 350 cc with the Twinspark UCE engine (Details of the new model has appeared on its website). The 2010 Bullet 350 uce retains its original styling and comes with options of a front disc brake and electric start. The exhaust though is a a bit too long. With the long exhaust and the original cast iron engine replaced, the original "Bullet Thump" would certainly be now muffled in these 2010 models. But with new BS III (Bharat Stage III) pollution norms coming into force across India from April 2010, the "heart transplant" was probably inevitable. Accoridng to Royal Enfield's website: "Along with the UCE engine come the double benefits of more power , and better fuel economy, more reliability and lesser maintenance". 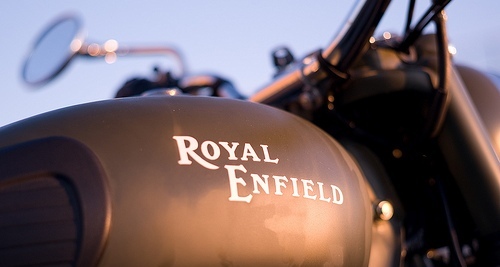 Lets hope that the new 2010 range of models from Royal Enfield turn out to be more reliable than its older models. Now the other model which is awaiting a similar "Twinspark UCE" treatment is the Bullet Standard 350 model. previous model was far better !!! Hve ordered this and will be my first RE bike. Hope it satisfies me and give me a perfect feel of the old standard 350 bike. Hey guys, planning to buy a new RE…….bit confused around T’bird and Electra….Please suggest. New 2010 bullet standard 350 (purchased on 28/06/10) is making too much of noise from the engine side as compared to the old one. Rest is fine and gives feel that the bike has improved. but the problem of more sound (noise)is a question. I'm exited to buy new UCE. Looks perfect. Still not drive. I was waiting for this standard break and gear system. Finally got it..! Does electra 4s still comes? i do not see it on official website of RE. I got out of biking because the worlds gone crazy with huge V twins that get terrible MPG. It’s nice to see an article like this. I’m older and will not fight a clunky heavy Harley. Due to the violence of the sun I have gotten rid of my boat and I’m thinking about biking again. Transportation, not for racing. A 350cc bike has all the power you need to kill yourself with if you like the idea of street racing. There is to much traffic for that sport now. I prefer at least a twin though but, articles like this give me hope that manufacturers are going to head in the right direction. By the way Harley could produce a practical bike for the aging population, don’t get me wrong, they aren’t a bad company I’m complaining about. I don’t believe many are offering bikes people are looking for. Hi Guys, I am thinking of buying Electra in Chennai. I am 5’8″ with 61kg. Considering the the Electra is 180Kg. Can i manage it?? you suggestions willbe helpfull.